We are a distinguished name of the market to bring forth an impeccable range of Garden Curbing to the respectable clients. Our product range comprises Garden Curbing that are constructed using prime grade raw material by employing modern production techniques in accordance with the industry laid standards and norms. Moreover, our quality controllers rigorously go through the range to ensure its flawlessness before dispatch at the patrons end. 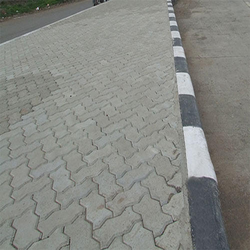 We are instrumental in bringing forth an outstanding range of Footpath Curbings. These offered products are constructed for usage in different sectors of the industry. Manufactured using advanced machines and sophisticated technology, these products can be availed in various sizes, grades and dimensions. ? We are an eminent name of the market engaged in presenting Pre-cast Pre-stressed Boundary Wallto our deemed patrons. 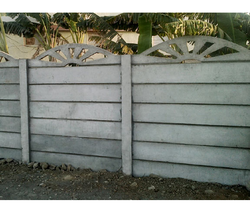 Offered wall curbing is used for making boundary wall for garden and other areas. These are constructed as per the detailed specifications provided by the clients. Moreover, patrons can avail from us these walls in 2 ft. of height out of which ½ is fitted within the ground.